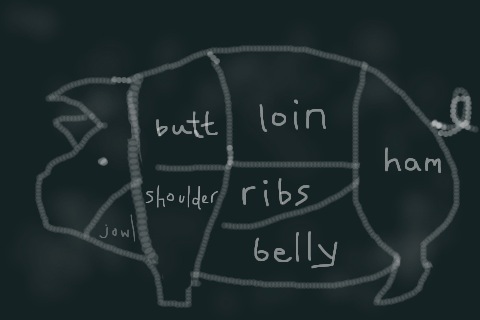 butchery chart of pig, drawn with Brushes app on ipod touch. This was my first effort with brushes, and I remain incredibly impressed with the artists who make amazing pieces of art using this. I am not one of them.